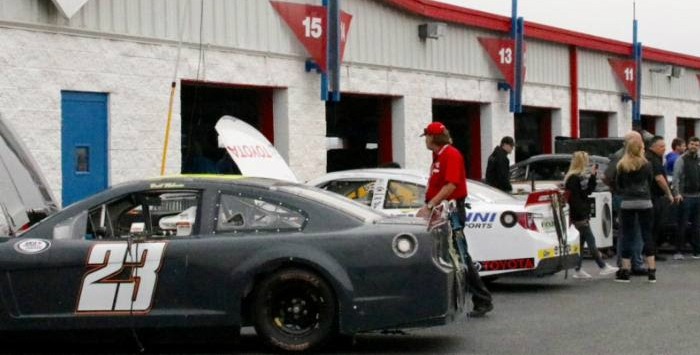 The ARCA Racing Series, presented by Menards, has concluded a two-day test at Talladega Superspeedway. The test was specifically to collect data on the composite material body cars, which will make their Daytona International Speedway debut in February of 2018. ARCA announced in May of 2016 that all teams racing at Daytona and Talladega in 2018 would be required to run the composite body. In all, 14 drivers among a variety of teams participated in the open test administered by ARCA’s competition department. Teams that participated include Venturini Motorsports, Mason Mitchell Motorsports, MDM Motorsports, CR7 Motorsports, Bret Holmes Racing, Ken Schrader Racing, Joe Gibbs Racing, Win-Tron Racing, Fast Track Racing, Finney Racing and Max Force Racing. While the test represents the first official composite body test on a restrictor plate track, the conversations between series officials and teams have been an ongoing evolutionary process since the composite car made its series debut in 2015. “This composite body conversation has been years in the making,” continued Call. “We feel like we’ve done our homework in advance of this test, and have done it well. We started out Tuesday with one plate size and we’ve stayed with it. We do have a new front spring package from our official spring partner Eibach so the teams are adjusting to that, but from what we’re hearing from the teams, things are really good. “Tests are for collecting data and based on what we’re seeing here, there are a couple of rules we’ll be looking at as things develop here…that’s to be expected. It’s interesting…there are some purpose-built speedway cars here, but there are also cars here right from Kansas Speedway. They’ve made minimal changes, put the new spring package on and the intermediate cars are driving very well. It’s interesting to be able to compare the speedway-specific cars to the cars coming straight from another track.